Краткое описание: From the team that brought you 8-Bit Armies comes a new fantasy RTS as fast-paced and friendly as the original! 8-BIT HORDES is a colorful strategy-arcade game that is easy to learn for players of all skill levels. Collect resources, build up and defend your base, amass your army of orcs or humans and ultimately crush your opponents! 8-Bit Hordes features offline single-player missions, two-player cooperative missions, AI skirmish mode, and Player-vs-Player Multiplayer modes running on dedicated game servers. From the team that brought you 8-Bit Armies comes a new fantasy RTS as fast-paced and friendly as the original! 8-BIT HORDES is a colorful strategy-arcade game that is easy to learn for players of all skill levels. Collect resources, build up and defend your base, amass your army of orcs or humans and ultimately crush your opponents! 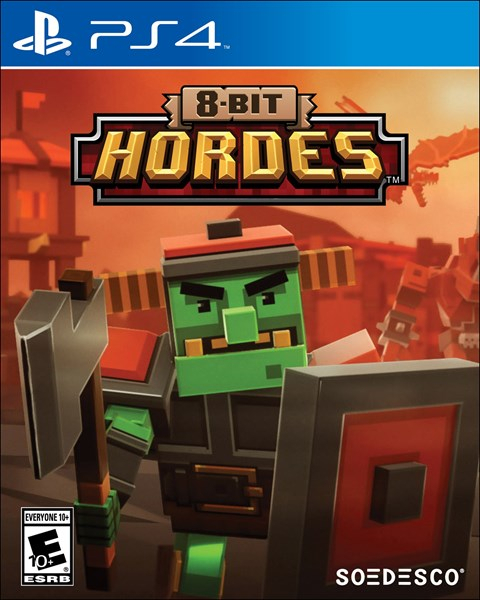 8-Bit Hordes features offline single-player missions, two-player cooperative missions, AI skirmish mode, and Player-vs-Player Multiplayer modes running on dedicated game servers.